The overture to Imran Khan represents a sea change from Trump’s normally harsh rhetoric towards Pakistan, and will add to growing speculation that the United States is planning to pull out of Afghanistan in the near future. Pakistan said on Monday US President Donald Trump has sought its help with faltering Afghan peace talks, part of intensifying efforts by Trump to end one of America’s longest wars. Pakistani media outlets, whose reporters met with Khan, quoted him as saying Pakistan would continue its efforts to help peace in Afghanistan. The US president wants to bring to a close the 17-year-old conflict between Afghan security forces and the Taliban, who are fighting to drive out international forces and reestablish their influence in the country. US officials have long been pushing Pakistan to lean on Taliban leaders, who Washington says are based inside Pakistan, to bring them to the negotiating table. “He has asked for Pakistan’s cooperation to bring the Taliban into talks,” Information Minister Fawad Chaudhry said. Trump has been open about his desire to bring home about 14,000 US troops who remain in Afghanistan as part of Resolute Support and a separate counter-terrorism mission aimed against militant groups such as al Qaeda and Daesh. Trump has appointed Afghan-born US diplomat Zalmay Khalilzad as a special envoy for Afghanistan, tasking him with pushing through peace talks. Last month, Trump said in an interview Pakistan doesn’t “do a damn thing” for the United States despite billions of dollars in US aid, adding that Pakistani officials knew of former al Qaeda leader Osama bin Laden’s location before his killing by US troops in a 2011 raid inside Pakistan. Khan hit back by saying the United States should not blame Pakistan for its own failings in Afghanistan and pointed out that the $20 billion in US aid was minuscule compared to over $123bn that was lost to its economy as a result of becoming a US ally in the aftermath of the September 11, 2001 attacks. The statement had prompted Islamabad to issue a statement which for the first time mentioned Pakistan’s role in the raid that killed Osama bin Laden. In the past, Washington and Islamabad both had refused to confirm if Pakistan had any information regarding the whereabouts of the Al Qaeda leader. 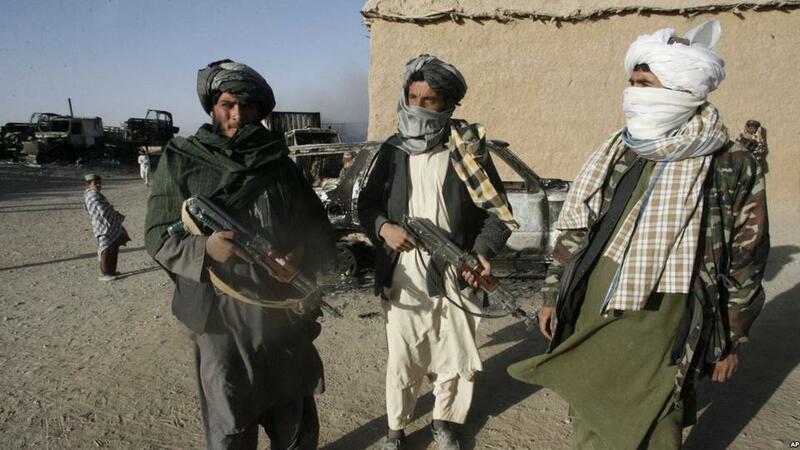 A US drone strike killed a top Taliban commander in southern Afghanistan, officials confirmed on Sunday. Mohammad Yasin, governor of restive southern Helmand province, told Anadolu Agency that Mullah Abdul Manan was targeted along with his guards in the Nauzaad district late on Saturday. According to the local Khama Press, Mullah Abdulu Rahim alias Mullah Abdul Manan – who was the group’s shadow governor for Helmand – was killed with his four comrades and two of his security guards. Mullah Manan is also said to have been a key figure in the Taliban’s special forces, and was against negotiating a truce with Kabul. Taliban spokesman Zabihullah Mujahed had confirmed his death.